Megachurch pastor John Ortberg insisted Monday that the investigation of multiple sexual misconduct allegations by several women against Bill Hybels, founder and senior pastor of the multi-campus Willow Creek Community Church in Illinois, was "poorly designed" and exposed the women to "grave risks." "I was approached over four years ago with disturbing information that I did not seek out. Along with others who received this information, I directed it to the elders of Willow Creek. The process that followed was, in my view, poorly designed and likely to expose any woman who came forward to grave risks," Ortberg, senior pastor of the nearly 4,000-member Menlo Church in Menlo Park, California, wrote in a blog post Monday. In an extensive investigation published by the Chicago Tribune last month, Hybels denied the sexual misconduct allegations against him, which include a consensual affair with a married woman, who retracted her claims. The Tribune report also alleged a pattern of behavior against Hybels that includes suggestive comments, extended hugs, an unwanted kiss, and invitations to some of the women to hotel rooms. Investigations commissioned by the church, however, could not substantiate the allegations. Ortberg argued that Hybels was approached about the allegations against him prior to the investigation. "An independent investigation by an outside, trained expert should have been thoroughly carried out before the senior pastor was first approached. To my knowledge that did not happen. The firm chosen to investigate (more than a year after the first report) is one that, as stated on their website, 'exclusively represents management. Of course, both sides of an accusation deserve a hearing and fair representation, but a firm that is retained by one side, and whose principal work is to represent one side in such disputes, cannot be considered independent," Ortberg explained. He said when he and others raised these concerns directly with Willow Creek attorneys, they proceeded with the investigation anyway. "As a result, I believe they failed to discover and thoroughly investigate important information. I and others were left with the painful decision to not participate in a process I believed lacked genuine independence and credibility," he said. 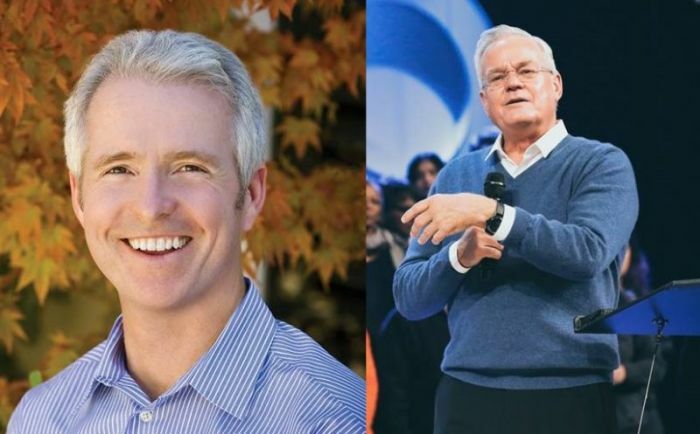 Hybels has blamed Ortberg, who is a former Willow Creek staffer, along with his wife Nancy and others, such as Leanne and Jimmy Mellado, of pushing the allegations "to keep me from ending my tenure here at Willow with my reputation intact." "Many of these alleged incidents purportedly took place more than twenty years ago. The fact that they have been dredged up now and assembled in a calculated way demonstrates the determination of this group to do as much damage as they possibly can," Hybels maintained. Hybels announced last year that he would be stepping down in October 2018. He has already named his successors — Heather Larson, who will be lead pastor, and Steve Carter, who will be lead teaching pastor. Ortberg insisted that he is only seeking justice for the women who were allegedly involved in Hybels' misconduct. "This is not a reconciliation issue between Bill Hybels and me. We had no conflict. I spent nine wonderful years on Willow Creek's staff and taught there regularly and joyfully for years after my departure. My wife served with delight on the Willow Creek Association board. The idea that we have colluded to manufacture or encourage these stories is untrue and a diversion. Any call for reconciliation is a complete distraction from the real story. The stories of the women themselves are the main concern," he said. "Anyone who may have been victimized by people in power needs to know that the church of Jesus is their refuge and champion. In this case, the tremendous courage of several women has been met with an inadequate process that has left them without a refuge and with no way to be assured of a fair hearing." Pam Orr, current chair of the Willow Creek Elder board, said they hired an independent, experienced external investigator, attorney Jeffrey Fowler, who is a "Christ follower," and insisted that the process was thorough and above board. Fowler told the Tribune he reviewed emails and interviewed 29 individuals and found no evidence of misconduct. Willow Creek Community Church held church "family meetings" since the news became public to assure members that there is no validity to the accusations. Hybels addressed each accusation during one of those meetings. "The accusations you hear in the Tribune are just flat-out lies," he said. Hybels also stressed that "respecting and empowering women has been a major value of this church and my ministry for 42 years." Ortberg believes that the church is trying to "put all these matters to rest" through the family meetings. He argued, "In a family, all voices should be heard, and every story should be told. This should happen in a setting where there is a balance of power and independent judgment can be made about their accounts."